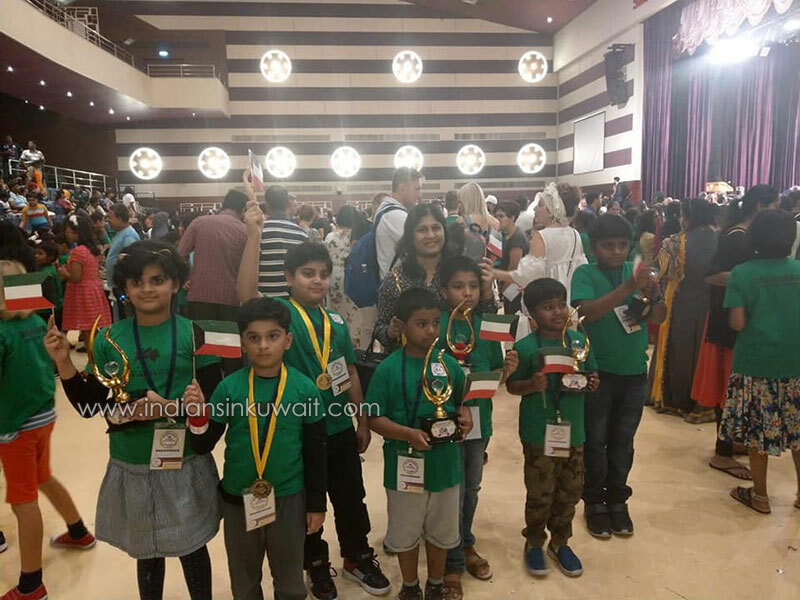 IndiansinKuwait.com - Students from Kuwait Schools shines at International Abacus Competition held in Dubai, UAE. 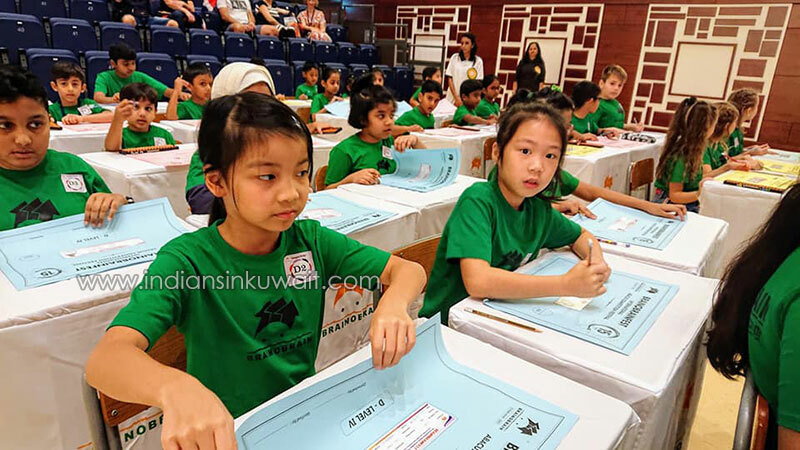 Students from Kuwait Schools shines at International Abacus Competition held in Dubai, UAE. 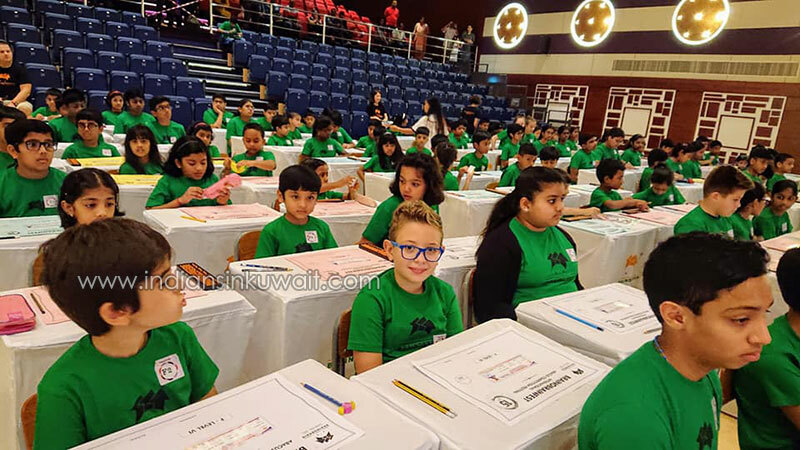 Students from the state of Kuwait outshined in the 4th International Abacus Competition recently held at Sheikh Rashid Auditorium, Indian High School Dubai, hosted by Brainobrain International Academy, winning 5 Champion Trophies and 3 Gold topper medals. The Champion Trophy is the highest accolade that one can achieve in their respective categories. 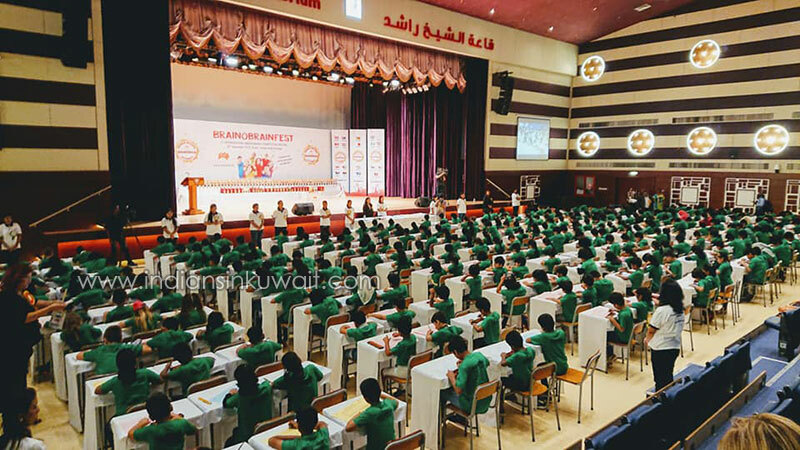 More than 2000 students participated from 12 countries, were divided into 12 categories and each category further into sub-categories according to the age and level of the course the children are currently pursuing. 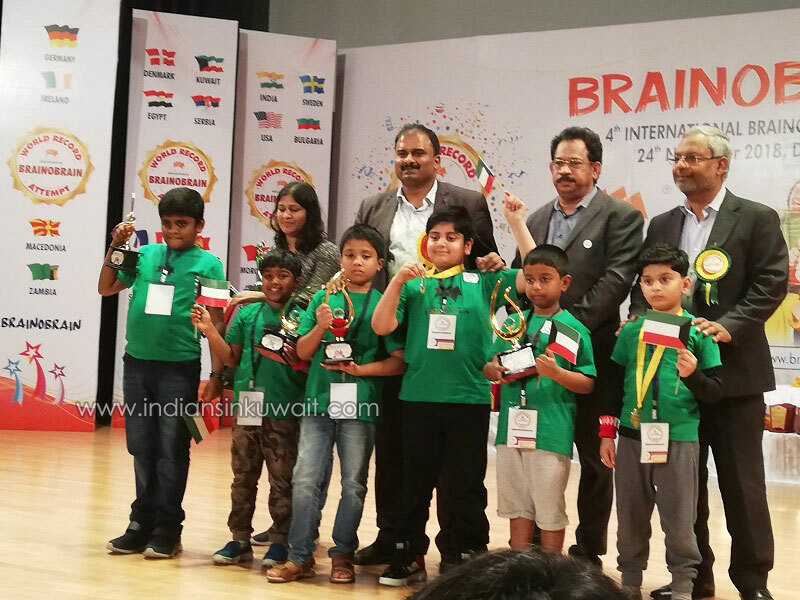 The winners from Kuwait are: Aaryan Pillai, grade-3, India International School-Kuwait, won the Champion Trophy in level-2 category. 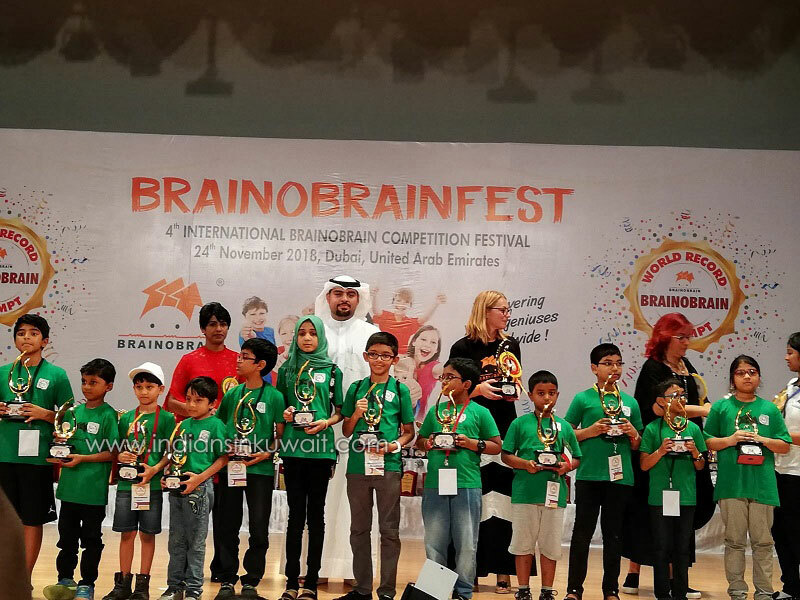 Akash Roi, grade-2, New Gulf Indian School, won the Champion trophy in level-2 category. 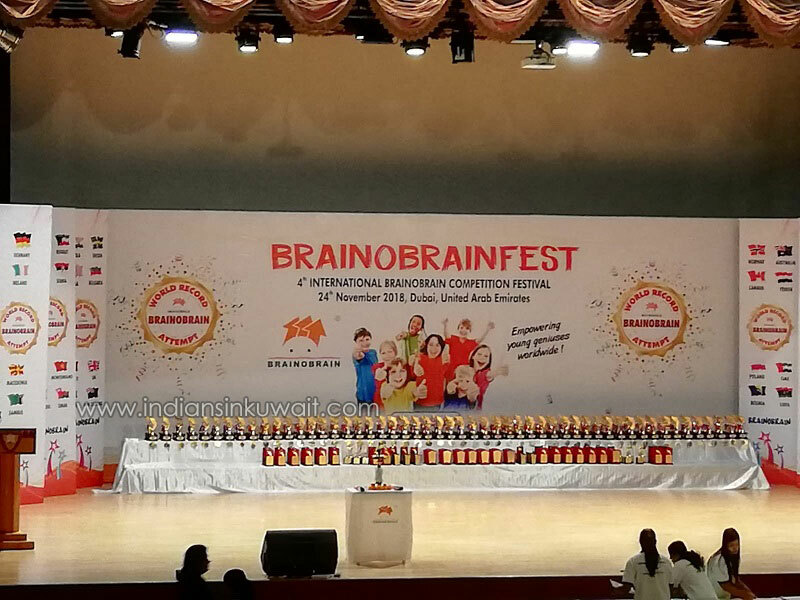 Bhavya Basanth, grade-3 in Smart Indian School, won the Champion trophy in level-1 category. Avinash Kannan, grade-2 in FAIPS, won the Champion trophy in level-1 category. Krrish Shrinivash, grade-3 in FAIPS, won the Champion Trophy in the level-1 category. P.K. Vithum Sandilu, grade-3 in Don Bosco School, won the Gold topper medal in level-1 category. Bhavanav Basanth, grade-1 in Smart Indian School, won the Gold topper medal in Little BOB-1 category, Divyanga Kashyap, grade-2 in FAIPS, won the Gold topper medal in the level-1 category. 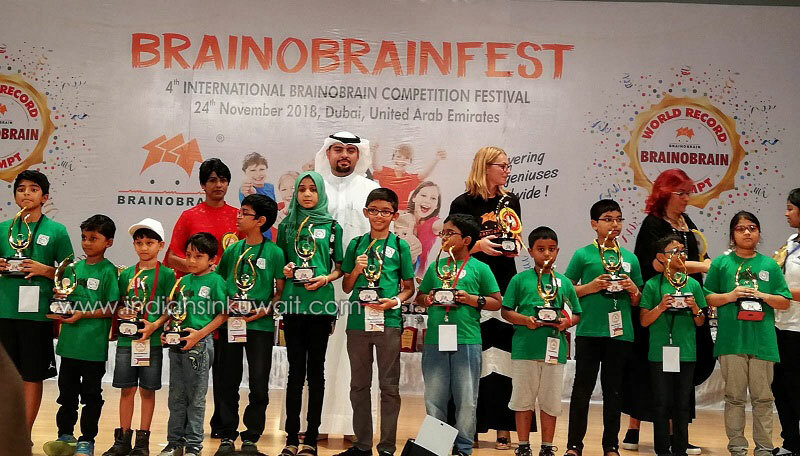 Brainobrain organises international, national and regional competitions among different centres in an effort to heighten competitive skills of children across the world. 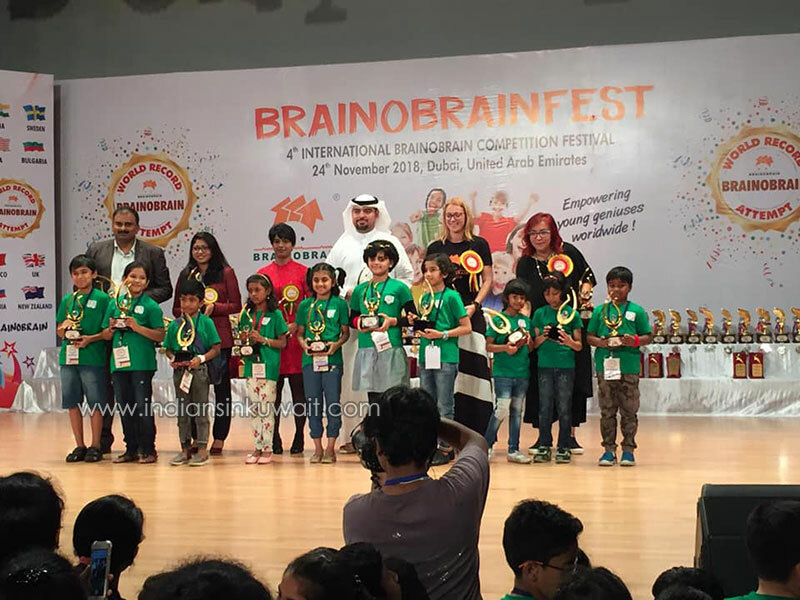 Brainobrain Kuwait centre is very much energised to see kids from Kuwait participating in this competition for the first time and winning these awards.